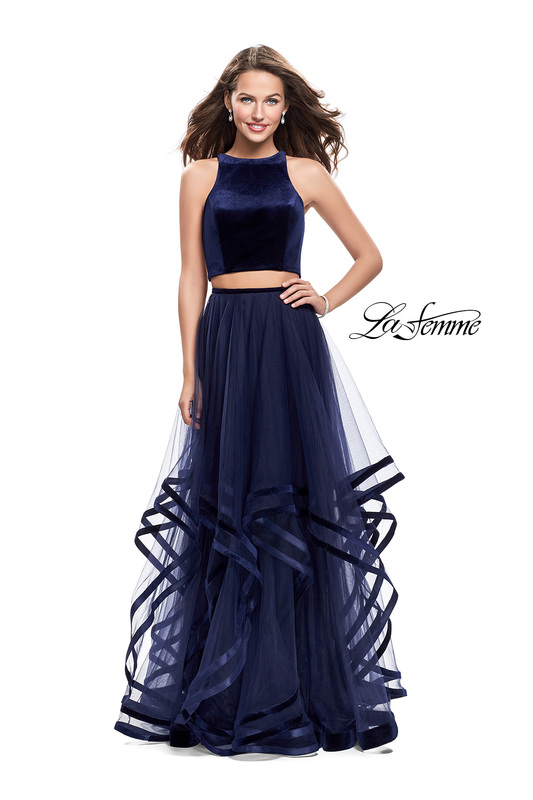 Make a statement in this elegant two piece dress with a cascading tulle layered ruffle skirt. Featuring a velvet high neck top and a strappy open back. Back zipper closure.